Wodehouse Pick-Me-Ups – which stories would be in your collection? The P G Wodehouse Society (UK) wants to know which three short stories you would include in a Wodehouse Pick-Me-Up edition. Punningly termed ‘pick-me-up’s’ to reflect both their expected sales position near the tills and the expressed belief that Wodehouse writing offers a pick-me-up for any reader, no matter what their problems may be, they each contain three of his best stories. How would you attempt such a selection? Would you stick to indisputable classics like Uncle Fred Flits By? Would you aim for a representative sample from three different series? Or a ‘best of’ selection featuring a particular character? What about three stories on a common theme? The possibilities and permutations are mind-boggling. I set my mind boggling to the challenge, and this is what I came up with. – I laughed out loud the first time I read them, uncontrollably and from the belly, until I was in tears. – I attempted to read each of them aloud to someone else, but failed, because I couldn’t control my laughter. – The joy of each story remains undiminished after multiple readings – the belly laughs may be controlled, but the stories still induce beaming and general contentment. I offer my personal Pick-Me Up collection as follows. The speech to which he had been listening was unusually lucid and simple for a Baconian, yet Archibald, his eye catching a battle-axe that hung on the wall, could not but stifle a wistful sigh. How simple it would have been, had he not been a Mulliner and a gentleman, to remove the weapon from its hook, spit on his hands, and haul off and dot this doddering old ruin one just above the imitation pearl necklace. Herein lies one of the problems with quoting Wodehouse. It’s good stuff to be sure, but a quotation can never do justice to the joys of coming across such lines in their proper context. When I first encountered them, I laughed for fully ten minutes. Unable to compose myself sufficiently to read the story aloud, I played an audio recording by Jonathan Cecil to my family instead. This proved to be the stuff to give the troops. My 11 year-old daughter has since played the recording over 50 times – it is daily bedtime listening in our house. She knows it better than I do and frequently drops quotes into conversation. 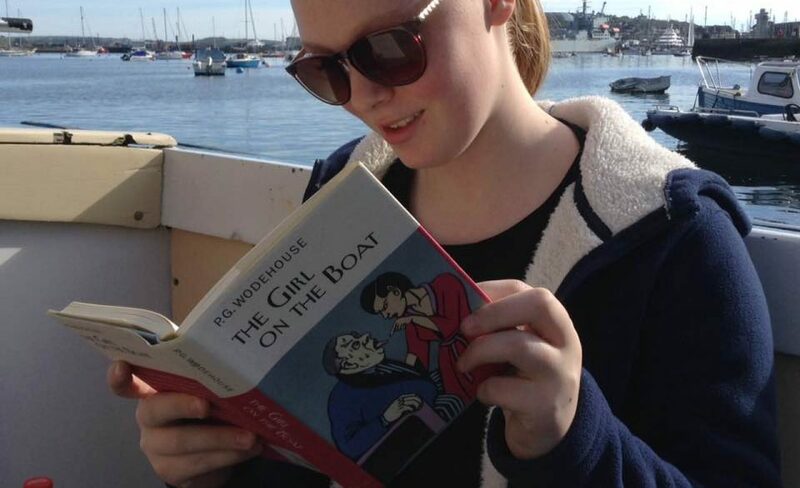 ‘The Reverent Wooing of Archibald’ will always hold a special place in my heart as the story that converted her from the child of a Wodehouse reader, to a budding enthusiast in her own right. The ramblings of Aurelia Cammarleigh’s Baconian aunt, and Archibald’s imitation of a hen laying an egg are priceless. His first glance at the novelist surprised Cuthbert. Doubtless with the best of motives, Vladimir Brusiloff had permitted his face to become almost entirely concealed behind a dense zareba of hair, but his eyes were visible through the undergrowth, and it seemed to Cuthbert that there was an expression in them not unlike that of a cat in a strange backyard surrounded by small boys. So good it has already given its name to a collection of golf stories, The Clicking of Cuthbert is indisputably among Wodehouse’s best. As a mere golfer, Cuthbert Banks is an outside chance in the race for Adeline Smethurst’s affections – all the smart money is on aspiring novelist Raymond Parsloe Devine. Wodehouse expertly manoeuvres the odds in Cuthbert’s favour, while poking terrific fun at the snobs of the Wood Hills Literary and Debating Society. But it’s the great Russian novelist Vladimir Brusiloff who really steals the show. It is too much to say that there was a dead silence. There could never be that in any room in which Vladimir Brusiloff was eating cake. The human cargo, as I say, had started out in a spirit of demureness and docility. But it was amazing what a difference a mere fifty yards of the high road made to these Mothers. No sooner were they out of sight of the Vicarage than they began to effervesce to an almost unbelievable extent. The first intimation Barmy had that the binge was going to be run on lines other than those which he had anticipated was when a very stout mother in a pink bonnet and a dress covered with bugles suddenly picked off a passing cyclist with a well directed tomato, causing him to skid into a ditch. Upon which, all sixteen Mothers laughed like fiends in hell, and it was plain that they considered that the proceedings had now been formally opened. Tried in the Furnace would be the title for my collection – it neatly encapsulates the feeling that so often prompts readers to select a Wodehouse book from the shelf and apply it to their soul like a healing balm. This story, set in in Maiden Eggesford, recounts the trials of Cyril (‘Barmy’) Fotheringay-Phipps and Reginald (‘Pongo’) Twistleton- Twistleton, who each undertake some act of good works in the parish, in an effort to impress Angelica Briscoe, daughter of the Rev P.P. Briscoe. Pongo oversees the School Treat, while Barmy is entrusted with the village Mothers’ Annual Outing. Wodehouse also touches briefly on the trials of these village mother’s. When you are shut up all the year round in a place like Maiden Eggesford, with nothing to do but wash underclothing and attend Divine Service, you naturally let yourself go a bit at times of festival and holidays. Much like Pongo’s Uncle Fred, when permitted to roam at large in the metropolis, Wodehouse gives these Maiden Eggesford mothers the toot of a lifetime – and as a hard-working mother myself, I appreciate it. For a brief moment, I am that stout mother in a pink bonnet, picking off cyclists with tomatoes, and my burdens seem a little lighter when I’m done. The competition ends 15 January and is open to all members of The P G Wodehouse Society (UK). See page 3 of the December Wooster Sauce for details on how to enter. To become a Society member, simply complete the membership application form (available from their website www.pgwodehousesociety.org.uk) and follow the instructions. Good selections, Honoria. The PG Wodehouse Society (UK) is to be commended as are the Random House Johnnies who ponied up the prize. I personally went with Came the Dawn, Jeeves and the Impending Doom, and Lord Emsworth Acts for the Best. The cross-section of characters approach to give the full Wodehouse treatment as it were. If I have to come in second, I shall hope you scope the cash. Great picks Ken — it’s so tough to choose because his stuff is so uniformly good. I am not sure if I will get my entry done in time — it will take some effort to reduce my blog post to the required 50 word limit. Love your work as usual, Honoria. And you too Ken. You’ve both encapsulated the problem: there are too many good ones from which to choose. I’m not telling you my three, except to say I settled on a theme rather than nominating my favourites. Oooh, Noel! I am not sure if I can stand the expense… It was a terrific challenge though, wasn’t it? The good people at Random House have my sympathies — it can’t have been easy to compile their collection. I love those. Lord Emsworth and the Girlfriend almost made it to my list. It’s a lovely story. Love the article, Honoria. I have chosen 3 x Mr Mulliner short stories as the perfect ‘Pick-Me–Up’ tonics. There were so many to choose from, but I think Mr M’s ramblings are amongst Plum’s finest work. I went for ‘Honeysuckle Cottage’, ‘A Slice of Life’ and ‘The Bishop’s Move’. Every time I re-read them I discover something new. Pure genius! Lord E and the Girlfriend, ,Indian Summer of an Uncle and The J of an O would work for me. I believe these three stories address such universal concerns as income disparities and the resulting hunger and deprivation, the brighter side of health challenges which can bring together hearts torn asunder by class/caste considerations, and the effect of diet on one’s character. Mahatma Gandhi would heartily approve, I guess!